Toby Wise, Ben Thomas & Sam Maughan of 7M have taken a history homework task which called on them to take effective notes, research points and organize them carefully under different headings and use them to complete a structured essay on the Black Death and taken it a few steps further. They have taken information from different pages of the text book and combined and integrated it together effectively to give a coherent piece which is their own work. 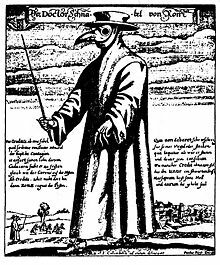 They have used historical information, their ICT skills and their imagination very well to produce a video which shows a growing understanding of the short term and longer term impact of the Black Death and what people at the time thought about it whilst seeing the experience from the point of view of different characters. They have used historical information about the different individuals and predicted their responses well showing that different people reacted in different ways according to their status and role.